I love beautiful motifs dishcloth in my kitchen. They make me happy every morning when I wake up and starting the day in a great mood is awesome! 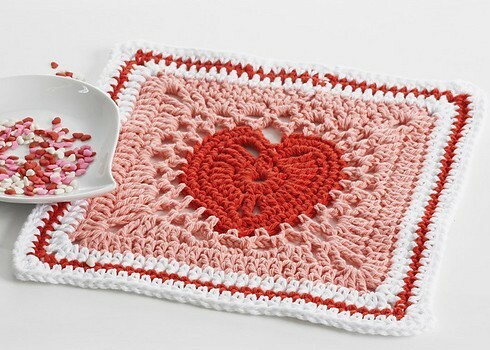 This Heart Dishcloth / Blanket by Lily / Sugar’n Cream is simple and easy to make and can be used individually as a colorful dishcloth or combined to make a beautiful heart blanket. 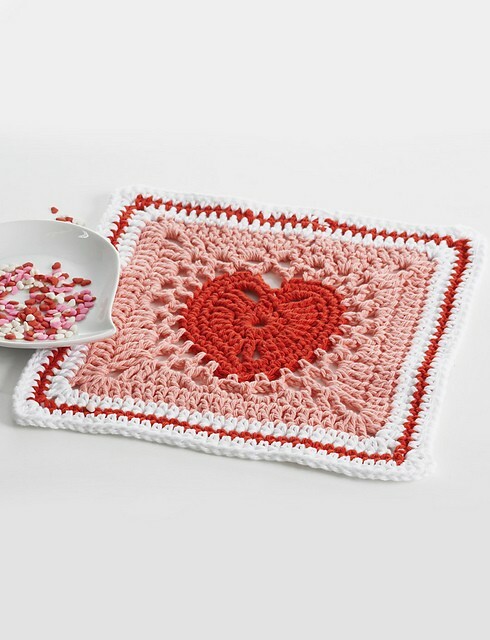 Add some lovey love to your home decor with this lovely heart motif square. Thanks to Lily / Sugar’n Cream for the article inspiration and featured image. This is beautiful & I’m anxious to get crocheting. the daily crochet site seems to be down…. This would be pretty done as afghan squares and stitched together!